Home / Uncategorized / Crosspring joins the Venture Cafe to talk about the Soft-landing journey. 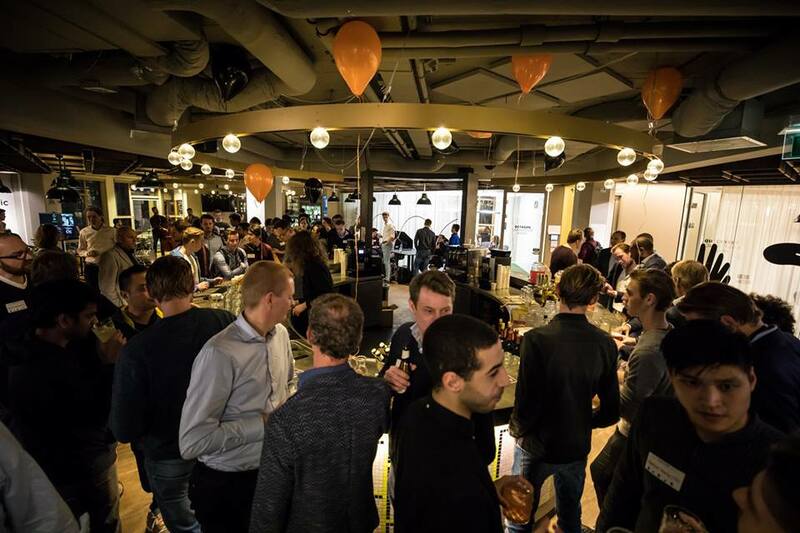 On Thursday the 20th of December, we partnered with the Venture Cafe at CIC Rotterdam for a feedback event to talk all about the Soft-landing program. This year the soft-landing project has taken us to Berlin, Silicon Valley, India and (of course) The Netherlands. We’ve met a lot of inspiring new people, agencies, startups, investors and companies. We’ve learned all about other ecosystems, their pro’s and con’s. After one year of Soft-landing missions we can definitely say that we’ve learned and experienced a lot. We’ve taken the time to talk about all our findings at the last Venture Cafe of the year, where around 350 people met up to talk about everything related to startups, scale-ups and entrepreneurship. During our session, we’ve introduced the Soft-landing project to the attendees, told them about our experiences with all the different Soft-landing countries and explained the ‘why’ of the Soft-landing project. Why do we organize these missions? Why is it important? How can they benefit you? It’s clear to say that many startups ‘think’ they should move into a certain country, but it is not always clear ‘why’ they should move into that country. Going abroad is not something you do overnight, this is something you have to explore before you make any costs and important decisions. Soft-landing mission help you understand the ecosystem of that particular country and if it’s interesting for you to move here. At the moment we’re busy setting the final dates for the Soft-landing missions in 2019. Would you like to join? Sign up for our updates here and stay up to date with all our Soft-landing news!